ISE celebrated the 2014 graduating class with the commencement luncheon on May 22. Congratulations to the 41 Industrial and Management Engineering graduates! 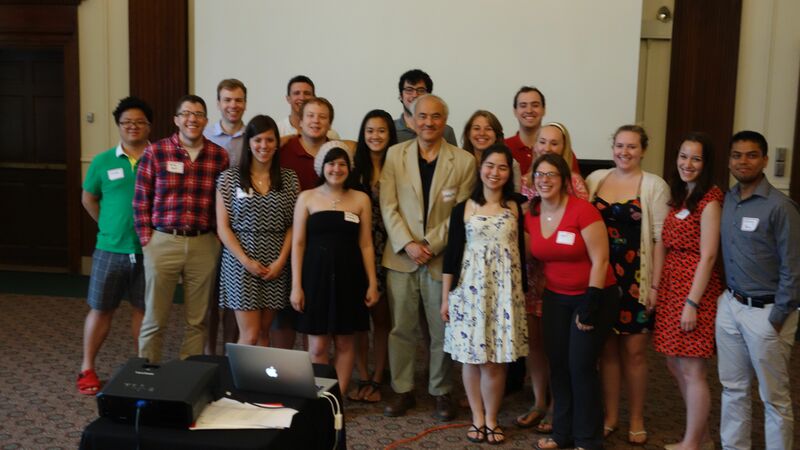 Picture shows class of 2014 with advisor Cheng Hsu. Del and Ruth Karger Dissertation Prize: Dr. Sarah Nurre (DSES Ph.D. 2013), now at Sandia National Lab. Ray Palmer Baker Prize (1937): Amy Seiler and Kaori Bigler.